"I'm thankful to be alive," said one survivor. NBC 6's Ari Odzer spoke to one of the survivors after a small plane crashed off Haulover Beach. Chopper 6 was over the scene near Collins Avenue and 108th Street, where the plane could be seen in the water. Four people were rescued after a small plane went down Monday afternoon in the water off Haulover Inlet. Chopper 6 was over the scene near Collins Avenue and 108th Street, where the plane could be seen in the water after reports came in of the initial crash just after 1:30 p.m.
All the victims were rescued out of the water and are being treated for minor injuries. 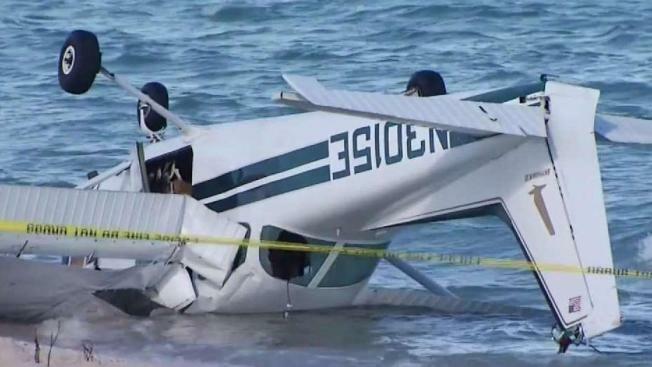 Three men and a woman occupied the plane -- a flight instructor, a student pilot and two passengers, according to the Miami-Dade Police Department. 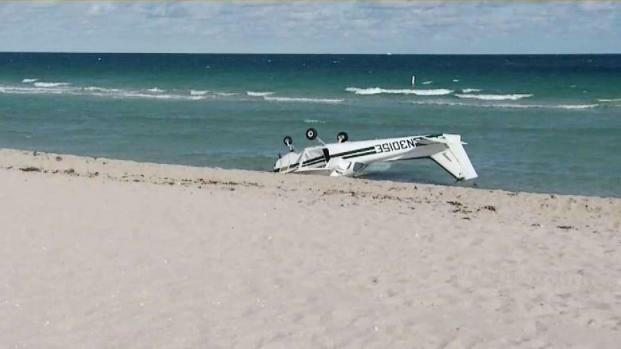 Four people were rescued with minor injuries after a small plane went down right along the shoreline of Haulover Beach. "I'm thankful to be alive," said one survivor, Edgar. "I'm thankful to be back on the ground, I'm thankful to everybody be ok."